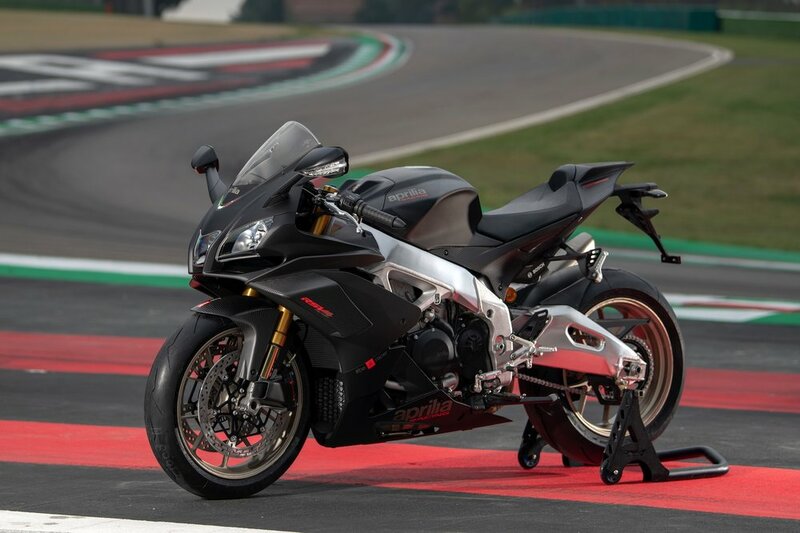 The RSV4 is the result of 10 years experience on the V4 engine platform, an extraordinary and winning project, able to combine never before seen performance with rideability; it is the perfect expression of racing technology, raising the bar of sport bikes thanks to the V4 engine characteristics, chassis platform and representing a milestone in the sport bike industry. 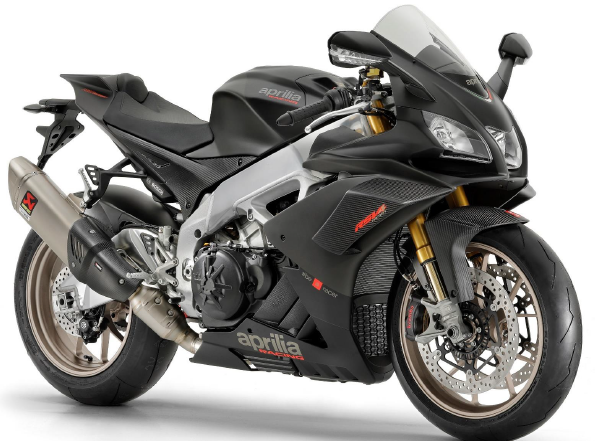 Aprilia is well known for our racing roots proven by 54 world titles in different disciplines and our ability to create MotoGP champions (Valentino Rossi, Marc Marquez, Jorge Lorenzo, Max Biaggi, Marco Melandri, Loris Capirossi and many others, started their career with us). Thanks to a further development of the PMP system, communication between the bike and your smartphone becomes active: you can change the settings on your RSV4 RR and Tuono V4 1100 directly from your smartphone and you can also receive tips in real time on how to improve performance on the track in complete safety. Standard equipment for the RSV4 1100 Factory and RSV4 RF (and optional for the RSV4 RR), there is a new version of the V4-MP, the Aprilia multimedia platform that lets you connect your smartphone to the vehicle via Bluetooth, introducing for the first time a true corner by corner electronic settings calibration system with data that can subsequently be downloaded to your laptop (or displayed directly on the smartphone) for analysis, just like they do at the races. The new V4-MP adds a new connection protocol that reduces smartphone battery consumption to a minimum, in addition to providing a larger range of circuits already mapped in which you can manage the electronic settings corner by corner, as well as user acquisition of a new circuit that is not in the list Aprilia has provided. 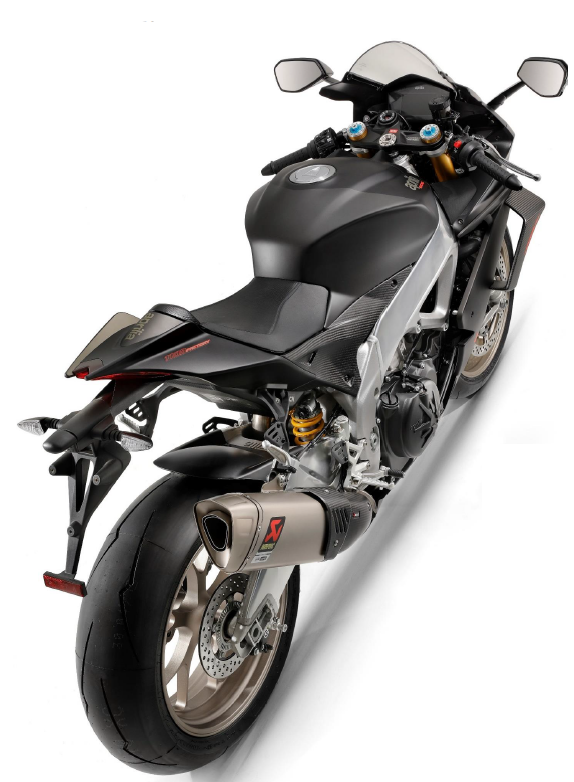 V4-MP also includes the Infotainment system, introduced by Aprilia for the first time on the new RSV4, to manage voice commands and incoming/outgoing telephone calls with your smartphone. These activities are also displayed and managed by the digital instrumentation. 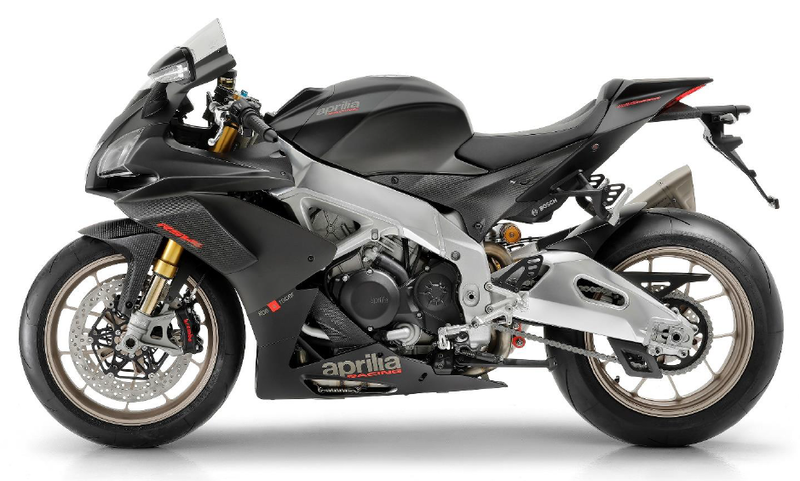 Aprilia V4 65 Degree, 4-stroke, liquid cooled, double overhead camshaft (DOHC), four valves per cylinder. Ride by wire with 3 engine mappings (Sport, Race, Track).